Our 200 sq. 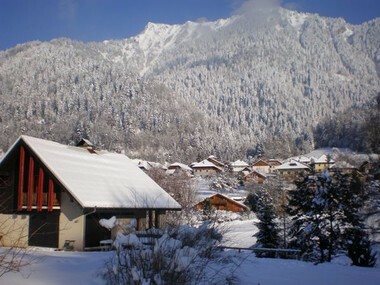 m with two floors gite is equipped for 24 people in a big chalet. It has a large living room, 3 separated rooms and a large dormitory room. The sanitaries are common for everybody. You'll find a kitchen equipped for the preparation of your meals. Sleeping capacity is 24 people, 38 people can be sat for meals. You'll enjoy the wonderfull geographic situation, surrounded by meadows. Outside, you will find a terrasse, benches and tables, and even a "pétanque" field. How about a barbecue? We have one ready, free for use. The lobby of the building is the front desk for Nordic skiing during winter and camping area during summer. A large living room (70 sq.m), with tables, benches, chairs, a Television and a few boardgame at your disposal. A dishwashing area is available with everything you need includind a professional dishwashing machine. Large windows grants light and access to the terrasse. 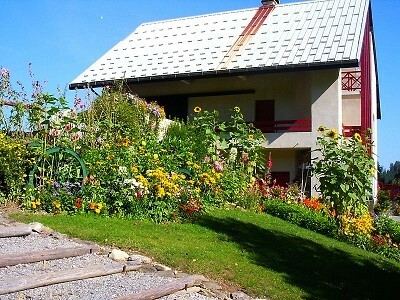 If you wish to visit the gite or get more informations, please feel free to contact us ! Our 200 sq. 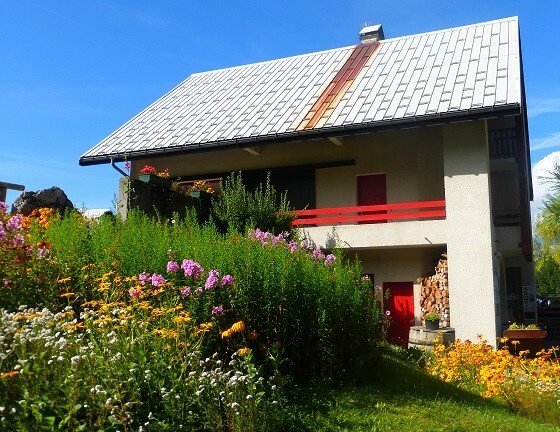 m gite over 2 floors is ideal to welcome large groups for reunions (Birthdays, family reunions, weddings,...) You'll enjoy the wonderfull geographic situation, surrounded by meadows. Outside, you will find a terrasse, benches and tables, and even a "pétanque" field. How about a barbecue? We have one ready, free for use.